Having finished my summer-themed mix-cd last month, I've now moved on to recording my mixtape for the summer's festivals. It was just put to tape, using a quality Sony C-90. 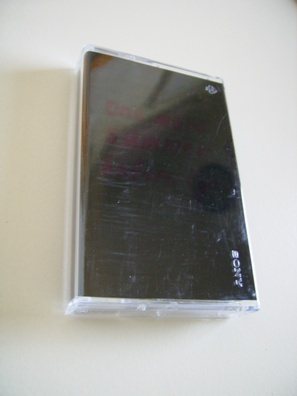 It's quite the Black Cassette, with a stylish cover in blank black paper with the title visible at just the right angle. And let's take a look at that tracklisting! You'll be able to here these sounds around, flowing gently from some dog-eared tape machine, if you visit the Emmaboda festival in Sweden this August. I will be playing with A Smile And A Ribbon.